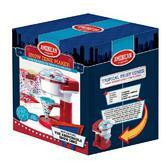 This snow cone maker is perfect for making snow cones as a refreshing treat – a perfect alternative to ice cream or ice lollies on a hot day. Just add ice cubes to start creating your snow cones, and then add delicious flavours such as blended fruit for a wonderful treat. You can also add sauces or syrups to mix and match your flavours and even make multi coloured snow, then garnish with fruit and mini cocktail umbrellas before serving. 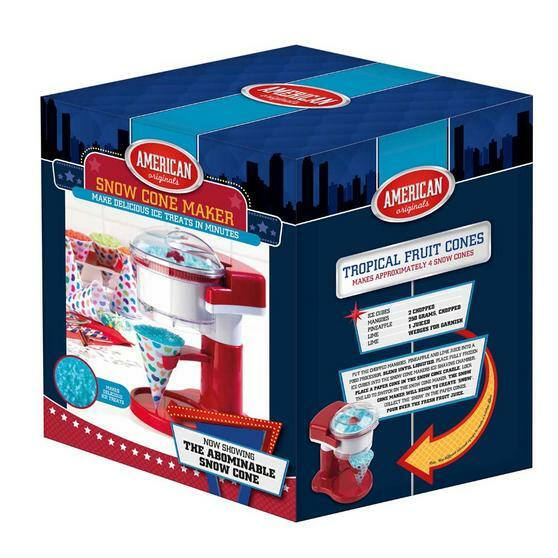 If you fancy a fun, refreshing treat on a warm day then this snow cone maker is ideal, and you can even add fabulous tasty flavours. 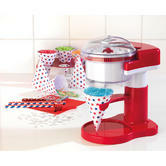 Simply place ice cubes into the ice shaving chamber, place a cone into the cone cradle and lock the lid to start the machine. 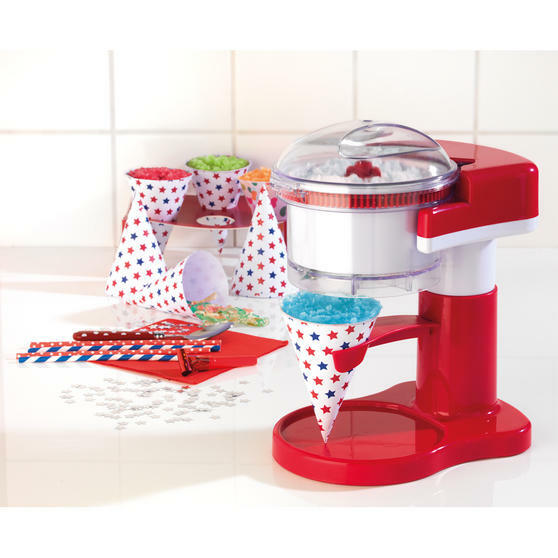 The snow cone maker comes with 20 brightly coloured paper cones for serving your amazing snow cones to your friends and family. 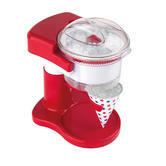 The transparent cover enables you to watch the snow cone in action and the detachable bowl and parts make it very easy to clean. With 80W power and a stainless steel blade, the snow cone maker can fill the cone full of light, fluffy snow incredibly quickly.